September is here, and that means it’s the peak of hurricane season here in Florida. Basic hurricane preparedness is part of every Floridian’s toolkit, but don’t forget to prepare for the something that is often unseen: mold. 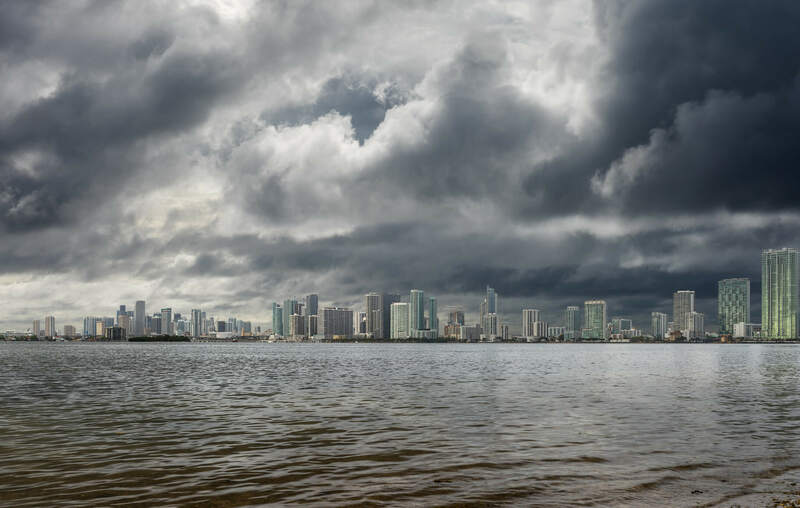 When a storm is on its way, it is essential to keep mold prevention in hurricane season in the forefront of your mind. There are things you can do before, during, and after a hurricane to prevent the unhealthy spread of mold in your house. Being prepared for it should be just as much a part of emergency preparation routine as stocking up on supplies and locating your nearest shelter. Do everything you can to prevent water from coming in. Close the windows to keep as much humidity and rain out of the house as possible. Closing the windows is essential for other safety reasons during a hurricane, and it will also keep the interior of your home as dry as possible. Make sure you leave the windows closed if you are leaving the house to go to a shelter. If you are planning to stay in your home when a hurricane arrives, there are additional steps you can take. Since you are on hand, you can watch for any water leaks and immediately stop them. However, only try the following steps if it is entirely safe to do so. NEVER underestimate the power of a hurricane. Make sure you and your companions remain in a safe area until the storm has passed. Stop water. If you see water coming in anywhere, do whatever you can to keep it at bay. Don’t just check places like windows and doors, check the base and tops of walls, stairways, bulkheads, and anywhere else water could potentially enter. Immediately remove anything that becomes wet. You’re pretty much guaranteed to lose power during a hurricane, so remember you will not have any access to dehumidifiers or air conditioners for moisture prevention. If you do have power, keep the windows closed and your dehumidifier and air conditioning on. Get rid of standing water. Use a shop vacuum or pump if you have power, and a broom or buckets if you don’t. If water got into your home during the hurricane, you have a potential mold problem on your hands. Mold can grow anywhere there is moisture, even on the smallest things. As a result, the first thing you need to do is completely remove anything that has gotten wet. Things to check include rugs, pillows, furniture, walls, and anything porous. Mold begins to grow after three days. Because of this, do not touch anything wet in your home after that period because of the danger to your health. Call the professionals for the removal of your water damaged belongings, because any exposure to mold is dangerous to your body. Health problems can include stuffy nose, irritated eyes, wheezing, skin irritation, difficulty in breathing, shortness of breath, and even mold infections in the lungs. If you have a potential mold problem after a hurricane, contact a professional mold remediation company right away. Do not try to remove the moldy items yourself. According to the Centers For Disease Control, this is especially important for children under 12, the elderly, and those with compromised immune systems. Do not touch mold. Even if you can’t see it, mold’s invisible spores can get in your lungs without you even knowing it. Do not touch anything that got wet. After 48 hours, there is a high potential that anything that got wet has mold growing on it. It is best to keep your hands off anything that is even damp and leave it for professional removal. Leave the windows closed. As soon as power is back on, run the air conditioning and dehumidifiers. If you have access to a generator and it is safe to use one, the first thing you should do is start to run fans to dry things out. Be prepared to move out of your home temporarily. Unfortunately, water can get into walls and floors and cause mold to start growing there. It is sometimes necessary to rip out and replace the infected drywall. Be prepared to have somewhere else to stay for as long as mold remediation may take in these cases. Although damage from hurricanes can be devastating, using the above tips can keep you and your family safe from mold damage. 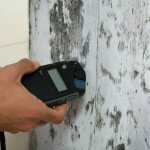 To learn everything you need to know about mold prevention in hurricane season, check here. Mold remediation professionals are the best way to ensure your home is safe after a hurricane. « What Happens When Kids Are Exposed to Mold?